Each video in the 5-Minute Marketing Workshop series features Ron Callis on-camera seamlessly narrating and guiding integrators through a series of changing slides and graphics on a range of topics such as “Website Design”, “SEO vs SEM for Integrators” and “Branding” among others. 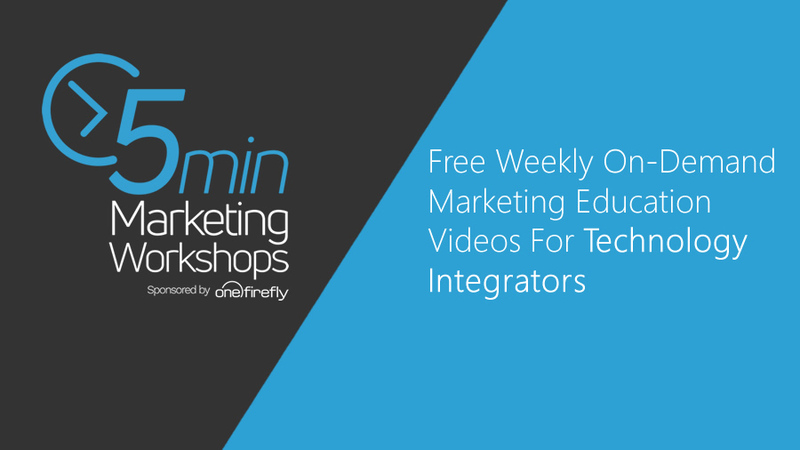 Additionally, each video will feature actionable takeaways or “homework” that each technology integrator can use to immediately begin improving their organization’s marketing. To access the content, integrators simply register at https://www.onefirefly.com/5min and upon submission will have immediate access to all available content.